Despite being occasionally linked to weapons distribution amongst neighbouring Syrian rebel forces, Turkey has remained relatively unscathed in media reports. Recent developments in Istanbul have provided a much needed glimpse into how this government operates, especially since Turkey has been a long standing contender for EU membership. Protests in Istanbul broke out after the Turkish government announced the development of a key park in Istanbul into a shopping complex. Demonstrators had held a four-day sit-in at Gezi Park, visibly angry at the plans to redevelop this area located in the proximity of Taksim Square. What initially started as a peaceful protest on this environmental issue quickly transformed into a sinister case of shocking crowd control by Turkish riot police. While the foreign media is dutifully reporting the progress of this incident, social media is being used as a mechanism by Turkish bloggers to provide further insight into how their country operates. This –> blog post <– is currently doing the rounds online, in which the author exposes further cases of undemocratic behaviour by the Turkish government. The immediate impact I received upon reading this blog and following these developments in Turkey is how opposing this government’s views and actions are to those of the EU – or dare I say the ‘much coveted membership of this country to this multinational organisation’. Turkey has an interesting environment, given its diverse mix of ecologies and habitats which are influenced from Europe, Asia, the Mediterranean Sea and the Black Sea. I would strongly vouch for EU integration on the basis of conserving these interesting and unique natural systems. I have previously argued about the importance of the EU in administering certain environmental frameworks in otherwise ‘rogue’ states – this in light of the UK’s recent turmoil surrounding its own EU membership. 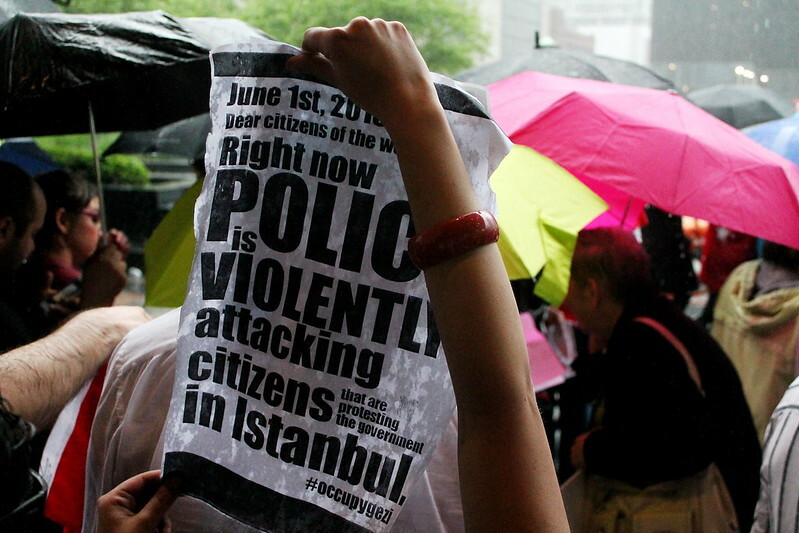 Even though the potential development of Gezi Park is most unfortunate from an environmental perspective, recent developments on crowd control and intimidation by Turkish authorities have been most unsettling. I find it quite beyond the realm of rationality that a country so determined to join the EU would stifle the public’s voice towards an environmental issue in such a way (I will not go into the whole police treatment aspect of this case, as I feel it strongly surpasses my capabilities and expertise). I admire the Turkish citizens for taking a stand against such austerity, even though protests have now become solely concentrated on the resignation of the current Turkish government. We Europeans have become far too complacent about certain environmental issues such as urban and rural development – no one even batted an eye when the new Maltese government pledged to reduce developmental fees. Unfortunately this very important protest has become muddled by the how the police intervened. While the entire world soaks up what is going on in Turkey, and makes up their own conclusions about the government of Recep Tayyip Erdogan, I still urge people to appreciate the important and brave stance the initial group of people took to protect Gezi Park in Istanbul. With respect to Turkey’s EU membership, I fear that these protests will be providing a rather harsh setback. It is quite ironic that the protester’s actions will indirectly harm the Turkish environment, as it is only through EU membership that Turkey can ever hope to protect it. Very valid point about the Europeans being too complacent regarding environmental issues. I feel the situation is even worse in Malta. A good first step would be for the majority of people to actually care about such issues. I take my hat off to the Turkish people in this regard.